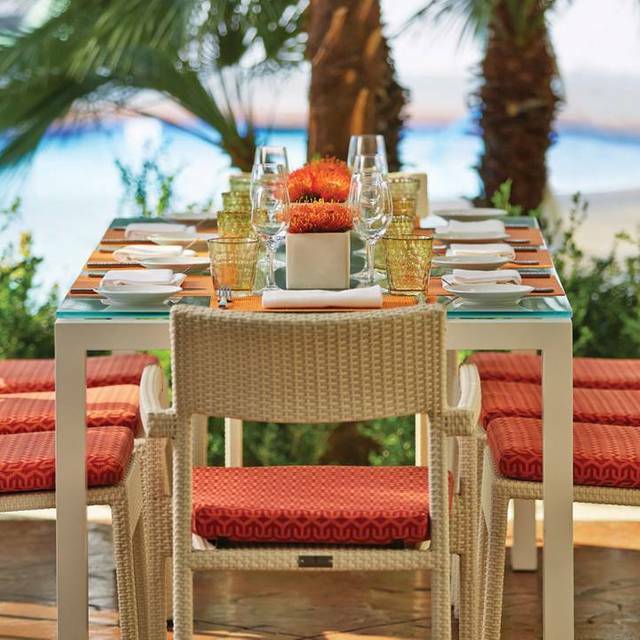 You must make reservations at least 5 minutes in advance of the time at Veranda - Four Seasons Hotel Las Vegas. There is complimentary valet service. 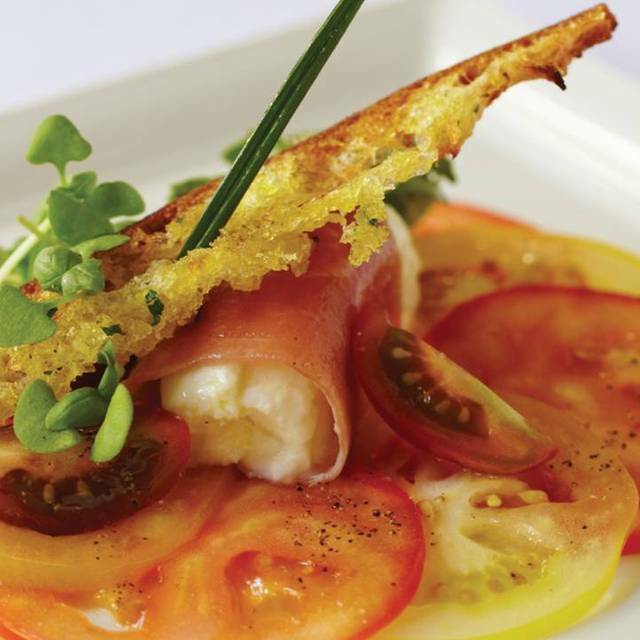 The chefs at Four Seasons Hotel Las Vegas take their culinary expertise on the road with Four Seasons Catering to You which delivers the food, service, and Four Seasons ambiance to any setting a client selects. From an outdoor park to a private home, the Four Seasons team will personalize menus and events and deliver them with the same impeccable service that up until now was found only at the Hotel. 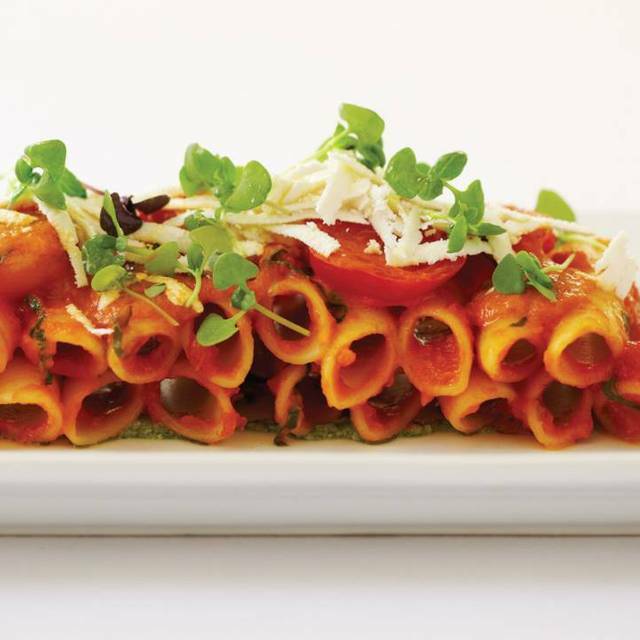 Modern Italian cuisine takes center stage at Veranda. 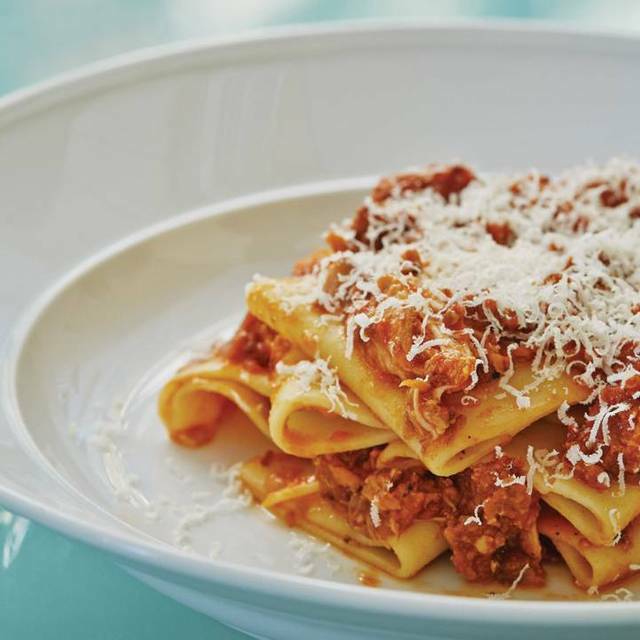 A diverse selection of housemade pastas, braised meats, wood-fired pizzas and fresh seafood prepared by Chef de Cuisine Joel Ott highlights the dinner menu. 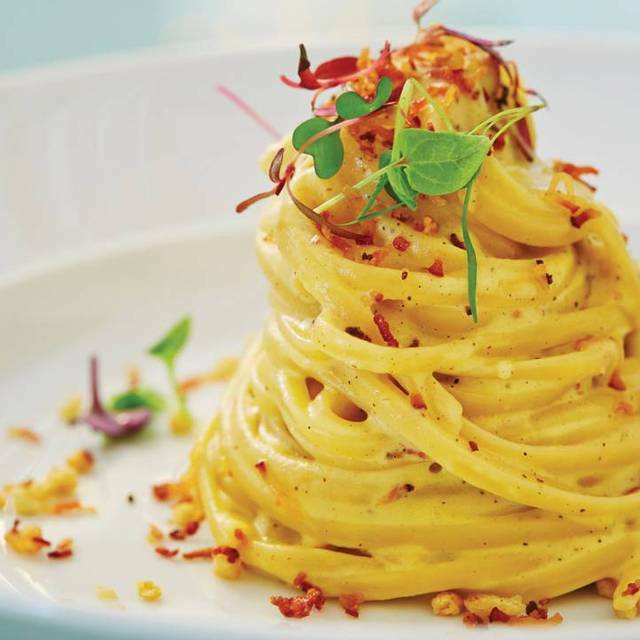 After dinner, an array of decadent, Italian-inspired desserts awaits. 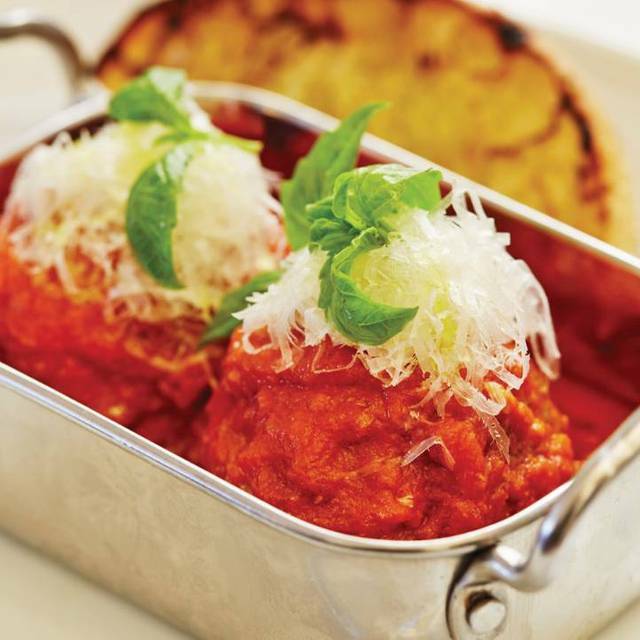 Lunch serves up a mix of Italian cuisine with American influences. A bountiful daily breakfast includes fresh juices, pastries and exotic fruits, while the legendary weekend breakfast buffet, featuring a fresh donut machine, is a must. 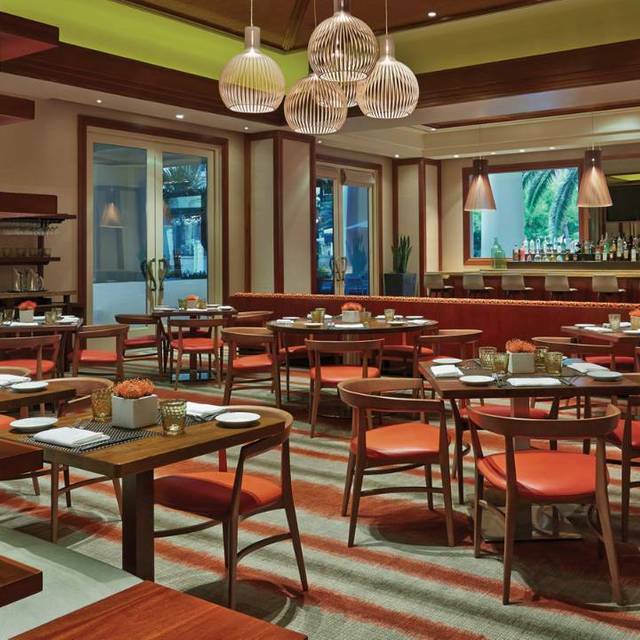 Veranda offers a relaxed dining experience with comfortable sophistication reflected in warm, natural décor. An indoor dining room is chic and intimate, while an expansive garden terrace overlooks the lushly landscaped private pool. 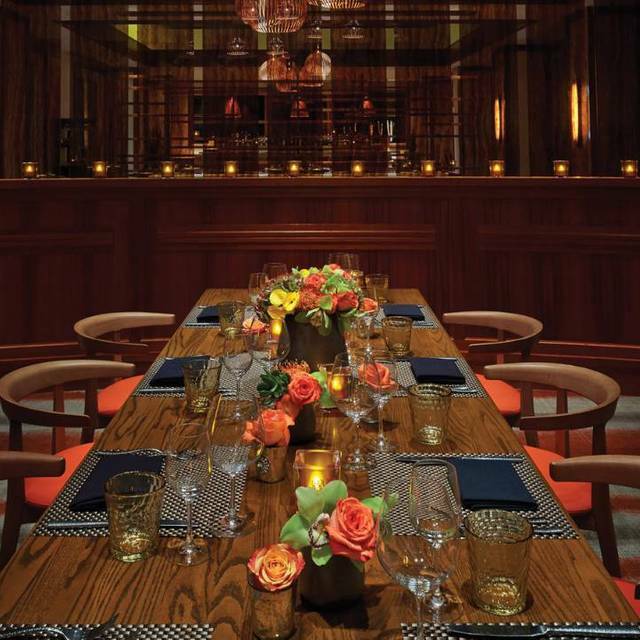 The restaurant also offers two private dining rooms for small gatherings, meetings or private parties. This is one of our favourite spots in Vegas. We love the breakfast and decided to try the dinner menu. We were able to enjoy our cocktails and calamari at an outside table, nice setting. There was a delay in the arrival our entrees, the staff acknowledged the problem and dealt with it in a very professional manor. Thank you, we will see you next time! Für mich eines der besten Restaurants in Las Vegas. Sehr gutes Essen - egal was man bestellt. Tolle Weine, die man auch genießen kann, ohne, dass der Kellner permanent nachschenkt um noch noch eine Flasche zu verkaufen. Bei gutem Wetter auf der Terrasse vergisst man das laute und bunte Vegas. Nach einem Messetag für mich eine willkommene Erholung. Auch im Innenbereich ist es sehr angenehm, jedoch eher klassisch. Die Preise sind für diese Qualität angemessen und im Vergleich zu vielen anderen vermeintlichen „Toprestaurants“ eher niedrig. Pastas came out cold and under seasoned. Even after the re-fired two of them they came out under seasoned. Not worth the money. The atmosphere on the patio is just so nice and relaxing. Hoping to go again for their high tea! this is a hidden jewel in the 4 Seasons Hotel. Quite space, great food and outstanding service. We visit the Veranda every trip to Las Vegas. Always a great experience. The servers are very knowledgeable of the menu. Joel Ott is an amazing chef. A wonderful surprises. So much more than we expected. On our favorites list! This brunch has got downhill and service severely lacking for a Four Seasons. They got rid of the bloody mary bar which was great. The service at the tables is severely absent. We had to ask for drinks and additional items several times as they seemed to kepe forgetting. It's also a shame they take the food away before 1 p.m. so you need to hurry. The patio is nice. There are many other amazing brunch places in town now that are far better service and food. We enjoyed the Sunday brunch Veranda is known for. The selection was amazing and the food was fresh. Kids will enjoy the handmade doughnut station. Be sure to ask about the made to order eggs Benedict. We had the buffet. The first serving of scrambled eggs and the hash browns were cold. In addition, the first batch of coffee was lukewarm. I always give good reviews. This will be my first not so good review. It was chilly outdoors, a heater was moved to our table. Yet it has no propane. We got the propane when we almost finished. Waitress was not trained on how to process credit card payment. Claimed my card was denied and asked for another card. When signing, she asked for 30% gratuity "How much gratuity? 30%? Press here." which I did. Turns out the first credit card was not denied. So I was charged twice. This is not the Veranda I used to like so much and recommended to everyone. Our late breakfast was an overall excellent experience at the Veranda. We were very early for our reservation and they were nice enough to seat us earlier. The service was fantastic as they were very attentive and even accommodated our special vegetarian request. I had a custom spinach, mushroom, and feta omelette which was delightful and my friend had the ricotta pancakes which was light and tasty. The restaurant itself is a beautiful space but it was a beautiful morning so we sat outside which was pleasant. There were outdoor lamps but it was pleasant so we didn't need them. I would highly recommend a visit to The Veranda. Great restaurant. I ate here three times over the course of two days. A wonderful respite from the typical Las Vegas dining experience. 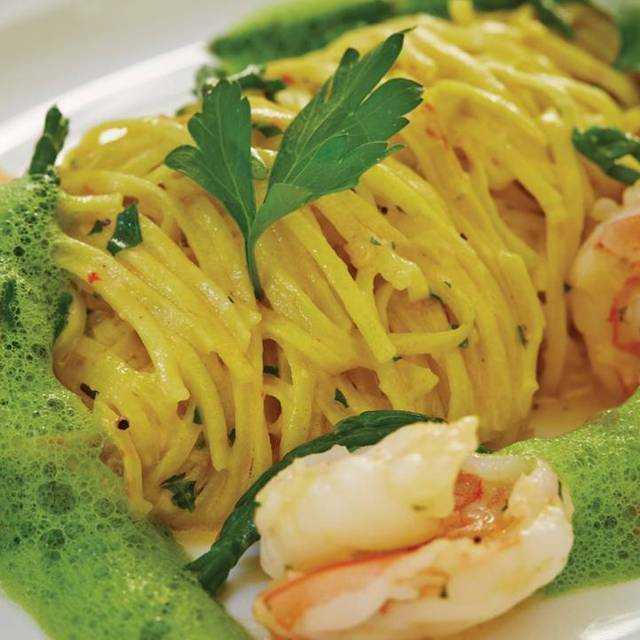 Authentic and fresh cuisine, impeccable service and a tranquil yet energetic setting. Lovely brunch. Good value for what you get! Front desk was especially helpful and courteous. Server was attentive and the food was really good. Nice spot for breakfast. Did not try the buffet (ordered al a cart ) but it looked very high quality. Fabulous brunch! On vacation. So tasty. Blintzes! Special little donuts with different glazes! Amazing bread pudding! Omlette station...with option for shrimp and crab, and the usual...do it station...other items too. Service was quick... $39 for buffet. $12 for one mimosa. $18 for endless mimosas. Sat next to a table of with one loud guy. Food and wine were fantastic. Our waiter Bill, made our evening special. One of the best waiters we’ve ever had anywhere. The food and the staff are 1st rate!!! Outstanding breakfast and look forward to adding this place to our list of breakfast go-to places on Sunday. Food was excellent- service even better! Best breakfast spot in Vegas. When in town for business I always book veranda, quiet, great food and service. Veranda was quiet and intimate for a birthday dinner with my husband. The staff were all so efficient and friendly...especially Kua...she went above & beyond!! Great food and great service. Food is outstanding; nice presentation. The Veranda - Four Seasons Hotel Las Vegas is a wonderful restaurant inside the hotel - excellent for breakfast and lunch, and especially for early morning business meetings. Wonderful breakfast menu - off the menu or buffet - excellent service and very accommodating. And it always comes with superb Four Seasons Service. Worth going. Great place for a breakfast meeting though a little pricey. For two simple breakfasts, coffee, tax and tip the total came to $96. However, they are one of the few places where one can make reservations for breakfast and offers a menu in addition to buffet. Food and service super! Our Waitperson was tremendous. Eager to please. Great spot for a business lunch.